Just in case eight nights of presents aren't already memorable enough, you can spice up the Festival of Lights with Disney, Star Wars, or sparkly animal menorahs. Up until relatively recently, Hanukkah was a fairly minor holiday that, while plentiful in delicious, delicious latkes and donuts, left something to be desired in the presents category. Now, Jews in the Western world celebrate Hanukkah with a gift-giving fervor similar to our Christian brethren for that other holiday. 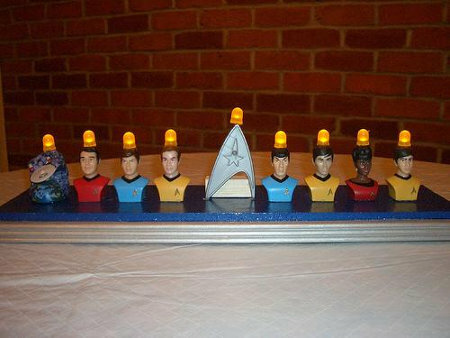 As Judaism and geek culture have gone hand-in-hand for decades, this year, a bunch of enterprising sons of Abraham and daughters of Sarah combined their love of Hanukkah and nerd culture to produce some of the wildest menorahs out there. Disney princesses? Check. Flowery lizards and sparkly, purple rhinos? Double check. 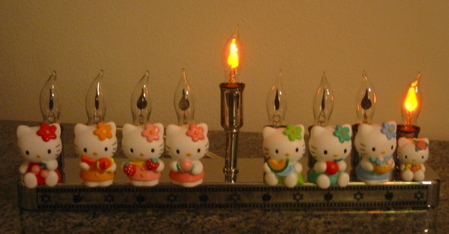 Whether your tastes skew towards steampunk or Star Trek, Hello Kitty or X-Men, there's a lot you can do with nine candle holders and a little creativity. 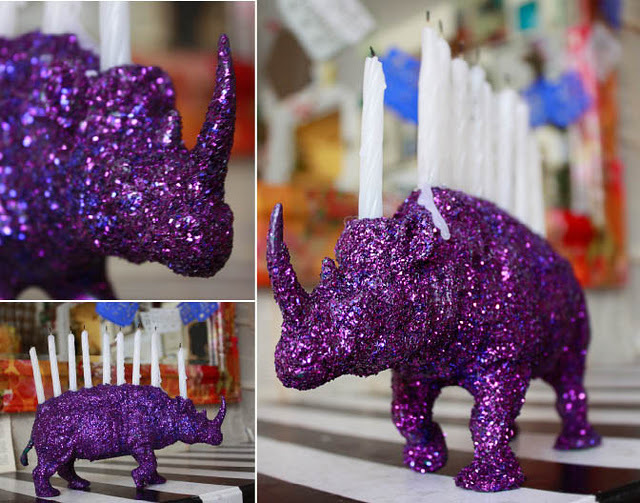 Megan S. of the blog Stellar Four scoured the depths of the internet to find this small treasure trove of Hanukkah kitsch, but with fifteen days left, there's still plenty of time to make your own menorah with whatever trappings you choose. 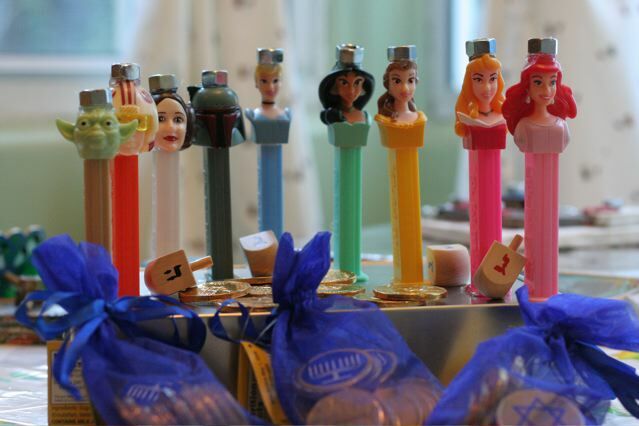 Tired of the old tile-and-clay menorah you made in Hebrew school? Swap it out for nine incarnations of Doctor Who or the cast of Super Mario Bros. or the Fellowship of the Ring (make sure that Gandalf is the shamash. He has a way with light). Be sure to post your creations in the forums. As December 25 approaches, there are sure to be plenty of creative convergences of nerd culture and Christmas, but it's good to remember that December is chock full of holidays, from Kwanzaa to Festivus (for the rest of us). 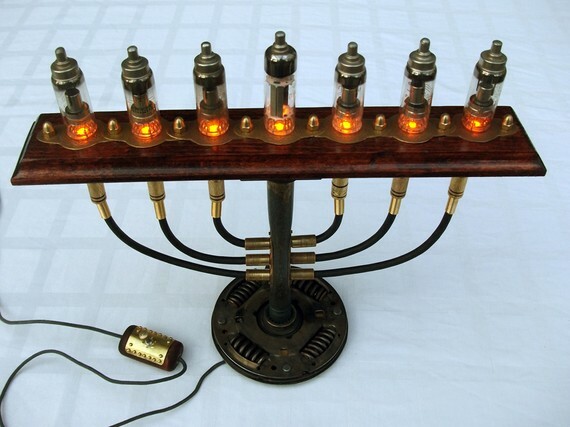 For all of our Jewish readers, you have until December 20 to craft a menorah whose tale will be retold for eight crazy nights. Everyone else, channel the spirit of whatever holiday you celebrate and make something marvelous!